These festivals celebrate the land witnessing the old traditions still present in local life. 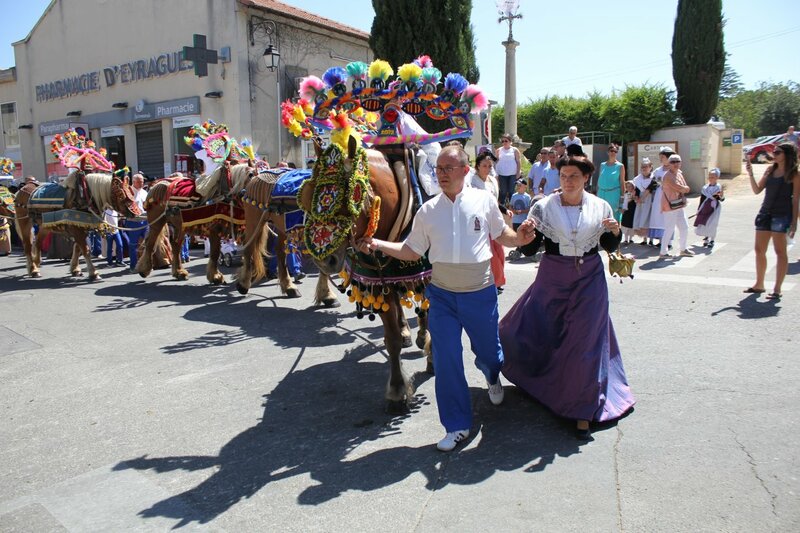 Starting from June to September, in Terre de Provence you can admire the horse-drawn carriages in the center of the village every Sunday morning. Decorated according to the town represented and the Saint being celebrated (for example: Saint-Eloi, Saint-Roch or Saint-Jean), the carriage can be pulled by 20 up to 70 horses harnessed in the Saracen style (carriage driving leather collars and bridles decorated with multicoloured wool threads, pom-poms and small mirrors). You can see the carriage drivers wearing the brotherhoods colours and proudly driving the horses next to their Arlesian women. The carriages are preceded by guardians, the fascinating musical parades of the Peñas and various folk groups. This procession marks the culmination of the festival, which lasts several days.